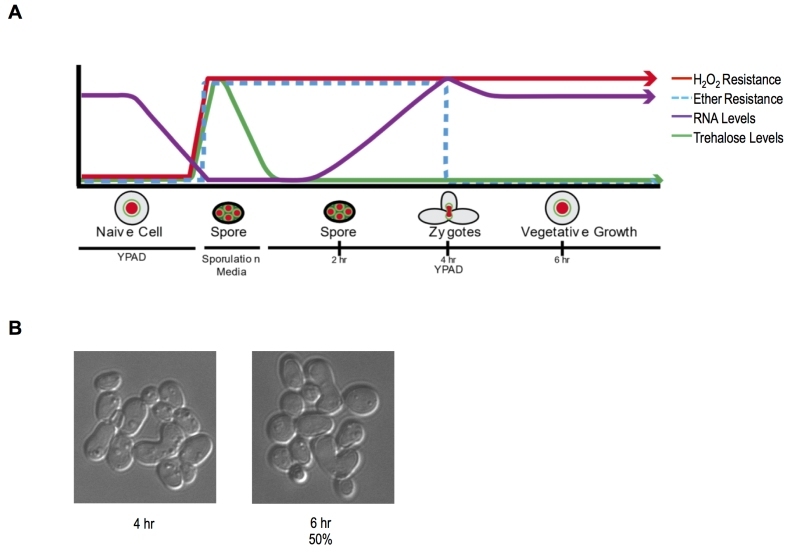 FIGURE 2: Developmental transitions and cellular memory of germinating cells. (A) A diagram depicting the changes in observed H2O2, ether resistance, trehalose accumulation, and extractable RNA levels through sporulation and germination is shown. (B) Representative pictures of germinating cells in YPD media at 4 and 6-hour time points. At the 6-hr time point 1 OD doubling was measured via a spectrometer and ~50% of cells were zygotes as determined by microscopic inspection.